I am a mother of four and former cardiology nurse practitioner. 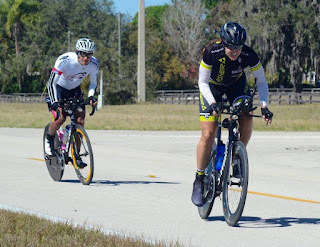 I began cycling as a commuter in college but didn’t pick it up as a competitive sport until my late 30s when I started racing triathlons in 2008. I made the switch to ultra distance cycling in 2013, and have been fortunate to race and win events all over the United States. In 2016, I won overall in the 928 mile Race Across the West, and this year I was the top woman finisher at Race Across America. 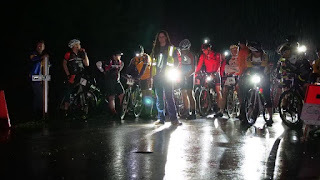 You are putting ulta-endurance rides/races on the map! Tell us what inspired you to take on the ultra-scene? Opportunity, and the desire to travel once my kids were a bit older and more self-sufficient. I started looking on Google for cycling events and opened a Pandora’s Box of potential adventures. I found the local options for cycling races not terribly interesting, and the idea of riding my bike someplace exciting like Death Valley or across an entire state appealed to me more than say riding in a circle for 45 minutes. I’ve since come to appreciate the strategy and intensity of shorter bike races, and I truly love a good time trial. But when it comes down to the choice of what I like to do for fun, the idea of hundreds of miles will make me laugh out loud and say, 'hell yeah, bring it on’. Starting as a bike path riding triathlete, I’d say every handling skill was a challenge. I was hit by a car crossing the street on my bike when I was in my early 20’s. From that moment on, I lived in fear. Fear of crashing, fear of cars, fear of going too fast, fear of venturing out on my own... Fear on that level is a hard thing to live with, and it’s nearly impossible to ride well when you are afraid to take chances. I finally grew tired of it, and tired of sucking so bad. I left the bike trail and began riding on the road with friends, and eventually alone. That was a huge step in developing actual handling skills and confidence in managing myself in groups and in tricky situations. Years ago, I had an opportunity to go west to California with my husband on a business trip. I rented a bike and proceeding to ride myself up a 10-mile switchback climb to the top of a mountain, where I then realized I had no idea how to safely get myself down. I survived that trip, and returned every year with my husband on that same business trip and rode those same mountains, alone, over and over again. I routinely would have to stop and pull my mental act together and would have nightmares the entire week we were there. After years of this, descending finally no longer scared me, and that opened up an entire world of cycling events I was then confident enough to try. I wouldn’t say I’m the most confident of descenders, or the fastest, but I can handle my bike at over 50mph, and routinely top 40mph here in Iowa descending large hills on gravel roads. If you ever have the opportunity to watch me descend a mountain, you can tell that I’m a self-taught Iowa gravel rider. I won’t get any points for style, but it works. I love being in motion. I love that I can see so many more miles in one ride than I could ever accomplish on foot. I enjoy the scenery and the random conversations I have with people I meet as I train in rural Iowa. I love the challenge of dealing with bad weather and variable road conditions. I love the purity of focus that it takes to get through a long trainer session without losing my mind. There’s a lot to love about cycling, I could ramble on all day. I’ve sold off most of my road racing bikes and wheels, but still have one road bike and a time trial bike. I used the proceeds from my sales to buy a Specialized Diverge, and a Specialized Epic. I plan to use the Diverge for both gravel and paved road events; it’s a do everything bike. I’m pretty excited about the Epic! I’ve always wanted to mountain bike, but the risk of injury was too great while also preparing for ultra events. 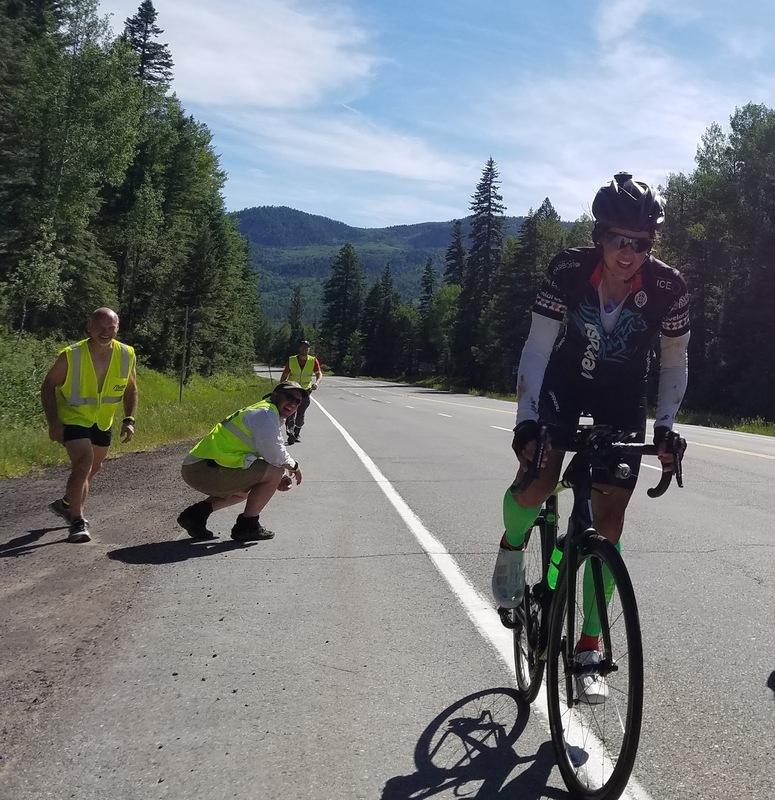 The last thing I needed to be doing was risking an injury doing a non-essential cycling activity when I had crew and sponsors relying on me to show up to race fit and ready! Now that I am beyond RAAM and have recovered most of my hand strength, the door is wide open to new adventures. You have accomplished some amazing rides this year, like the RAAM. Can you tell us how you prepared yourself for the distance and what you learned about yourself from the experience? Preparation for RAAM was a three-year process of training, racing, and logistical preparation. RAAM is said to be the toughest bicycle race in the world, and I don’t disagree. Anyone can get lucky and have a good 200 or 500-mile race on sketchy prep and a lot of determination. 3000 miles in less than 12 days requires a significant amount of discipline, experience, and sacrifice. I have done little else for the last three years except take care of my family and prepare for this race. I can’t say that I loved every minute of the preparation, but I loved the purity of discipline, the pursuit of a goal, and the passion it took to get through this event. An entire community of people threw the weight of their support behind me to get me to the start line in Oceanside, and 10 friends gave their all to get me across the country under very difficult circumstances. It was an incredible experience. What I learned about life and love in pursuit of a RAAM finish could fill a book. When you go in search of your limits, you have to be prepared for what you will need to do when you find them. I knew... I believed in myself, and my crew believed in me. While I would never have wished for my race to go as sideways as it did (I had a lung infection, altitude sickness, several pounds of edema, and a small tear in the paraspinal muscles of my neck) it was an opportunity to test my strength in a way that I never had before, and may never have again. Tell us about your Gravel Worlds experience of 2017! Why is this an event that gravel-lovers should look into? I had persistent hand numbness and neck issues after RAAM. The only bike I could safely handle at Gravel Worlds was my fat bike, so I ended up withdrawing from the Masters women category and switching to the Fat Bike category. I had a great race on very bad preparation and ended up winning the Fat Bike category and finishing in just over 10 hours, a time that would’ve put me on the Masters Women podium in second place. I ended up fifth overall on 4-inch tires, which is just hilarious. Sometimes you get lucky. The course was fun and definitely fat bike friendly. The gravel in Nebraska tends to be sandy, and the better handling of the fat bike in those tough spots made it much easier to maintain momentum through the tough spots. Overall, the gravel scene is a great community of people, and this event has a fun vibe and a competitive group of athletes. I’ll be back to race it again. As I started venturing out farther from home on my training rides, I discovered an entire untapped area of Iowa that I thought would make a great race course. I can’t say I really needed anything else to do, but I decided to create and host an event. I’ve always longed for more ultra-endurance events closer to home, so this is my way of providing an opportunity to my fellow athletes that I wished I had had. 2017 was my second year, and despite some challenging weather, things went very well. My mission is to provide a low cost, scenic, and challenging ultra cycling event for as many years as I am free to do so. It’s turned out to be quite an enjoyable experience for me. I also am the race director for the Elkhart Time Trial series. It is a small, Des Moines area time trial that races the second Thursday of every month, April to August. It’s a great way for area women to get involved in bike racing, and meet like-minded people. Being on my bike for days at a time heavily influences what I am able to wear. I cannot wear ill-fitting clothing, or clothing that won’t hold up over time and repeated use. Minor chafing can turn into a disaster over the course of a multi-day event. The Velorosa kit has gotten me through many thousands of miles of training and racing in 2017. In my early days of cycling, I settled for men’s clothing and inexpensive shorts that made me wonder how anyone could ride 100 miles, ever. All women can benefit from a nice kit that keeps them comfortable no matter the length of their ride. How do you ever venture off for that first century ride if you are uncomfortable after 20 miles? Why do you want to encourage more women to discover the ultra-distance scene? There is a purity of sport in ultra distance cycling that is hard to find elsewhere. There are few races with financial reward, and it takes a leap of faith to believe that hundreds or thousands of miles on a bike is possible and worth doing. The strength that you find within yourself as you take on these physical challenges can carry over into every aspect of your life. Encouraging women that are not already involved in cycling to take up the sport can be a difficult task. At times it seems women engage me in conversation not out of genuine curiosity and an interest in my experiences within the sport, but to offer their judgements as to how they better spend their time, how much better parents they are because they would never miss their child’s anything for a bike race, or how they perceive their sanity as it relates to mine. It’s hard to offer encouragement and inspiration to a group of people that don’t seem to want to hear it. The mommy crowd can be tough, and very judgmental. It can be difficult for women who do not have encouraging people within their life to break out of that way of thinking. Even for women within the sport of cycling, breaking out of the “I am just doing this for fun” mode and pursuing self-improvement sometimes is met with resistance from family and friends. Skipping that social bar stop ride to get in a quality training ride can take some courage, and end up being a lonely road. There is a multitude of opportunities within the world of cycling, but getting women to be open to them feels to me not so much an industry task at the entry level, but more like something that all cyclists are responsible for. Sometimes all it takes is one supportive voice to encourage someone to better themselves, find the love of the sport, and develop a passion for cycling. I did not have a lot of supportive voices in my life when I first began to pursue the sport, but there were a few, and that was enough. We all are ambassadors for cycling. In October of 2017, I underwent long overdue surgical repair for carpal tunnel syndrome. In the process of preparing for that surgery, I discovered that my triceps muscle has been choking the life out of my ulnar nerve at the elbow. In addition to the carpal tunnel release, I had a more complicated surgical release and relocation of my ulnar nerve in both arms. I’ve had good results and recovery of my hand strength, but my race plans for 2018 are still uncertain. I’m committed to racing Trans Iowa on a tandem, and I’ve been invited to participate in the inaugural DKXL in June, but whether I’ll do any competitive ultra cycling events beyond that I’m not certain. I do plan to race the Elkhart Time Trial series, and probably some local brevets and continue race directing and public speaking engagements as they come up. My first love before cycling was horses. My daughters and I recently adopted three off the track Thoroughbreds from the HART program (Hope After Racing Thoroughbreds) through Prairie Meadows.